This Tuesday (12), Instagram Stories won a new role that allows users to shop in Stories posted by stores on the social network. The novelty is directed to the version of the application for both Android and iPhone (iOS), and can be accessed by Brazilians in the accounts of some stores. The company, when publishing a photo with products for sale, will have the option of including the description and address for the site of purchases of the establishment itself. Those who watch the stories will have access to such information, which is indicated by a label marked by a bag. The tool in question is similar to the “buy now” button in Feed posts, which was released in Brazil in March this year. A store’s merchant account may add a tag to the story about the item in the photo, thus indicating that you can purchase it or even get more information about the product. This way, when a user clicks on the object’s tag, the message “see details” is displayed. In a second touch on the markup redirects the user to a page within the Instagram application itself, which includes the data reported by the seller, as a description of the product, as well as the price, publicity photo and still photo of the disclosure with the option to go to the store’s website to make the purchase online. Instagram says the addition of the shopping feature to Stories through a survey done among users of the application. Most of them said that they often keep track of their favorite brands within the app. 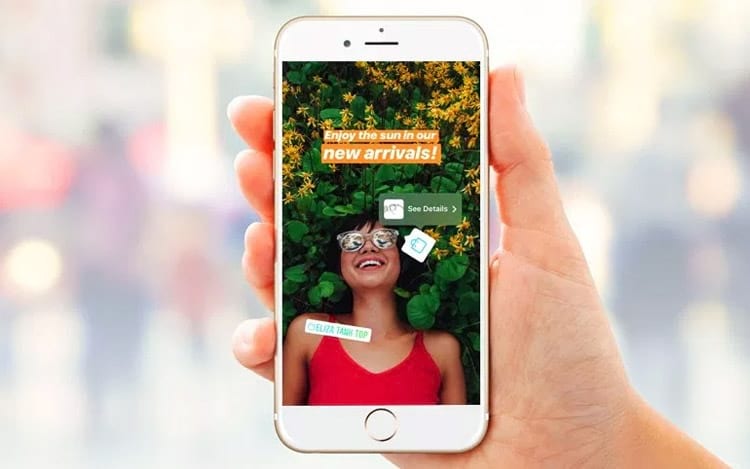 For this reason, Instagram plans that the new functionality will allow users to know more products from their favorite stores. And you, what do you think of the alternative proposed by Instagram?